Through a partnership with Operator, the chat-based shopping assistant, Uber and Operator could compete with Amazon for instant delivery from local, nearby shops. The service is called UberRush. The partnership could eventually bring one-hour delivery to businesses across the country without them having to even think about it. All shoppers do is send Operator a text request for something they want, Operator finds and buys it for them, and an UberRush courier picks it up and delivers it in an hour. The Operator app connects you over chat with human experts in clothing, electronics, gifts, and other areas. Say what you want, they do the research and send purchase options, and you just confirm what you want to buy over text. 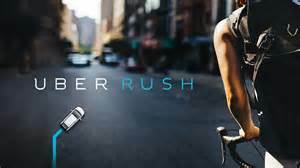 The opportunity here is that local UberRush cars picking up items from the closest local seller could potentially do faster, more scalable instant delivery than Amazon. The e-commerce giant trucks have to retrieve items from fulfillment centers that could be far away from the buyer. UberRush has said it keeps 20% to 25% of delivery fees and gives the rest to the courier, implying the retailer and Operator won’t earn a cut. But UberRush makes Operator more convenient, allowing it to route more purchases to retailers.